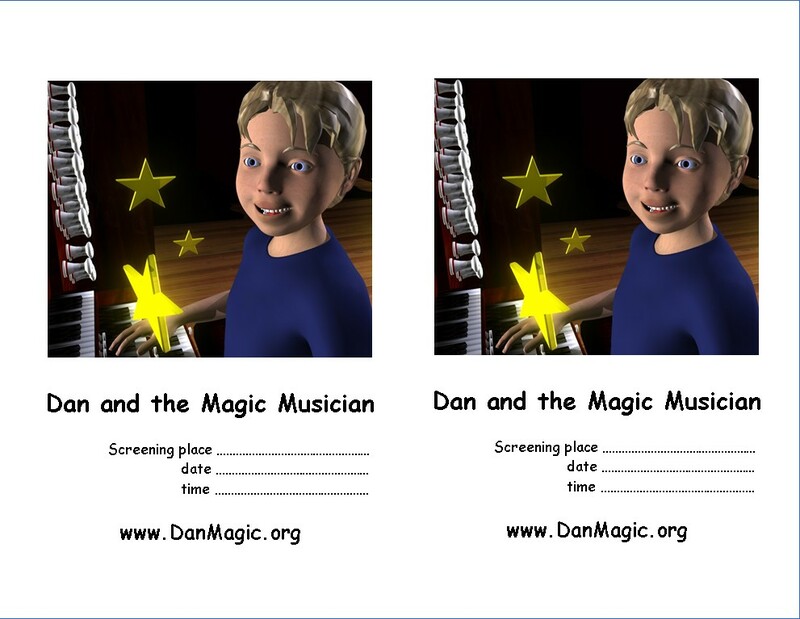 Posters and leaflets to advertise a showing of "Dan and the Magic Musician"
Load and print A4 poster from Word document, on which you can enter the screening details or customise as you wish. YOU CAN HELP to introduce more children to the pipe organ! 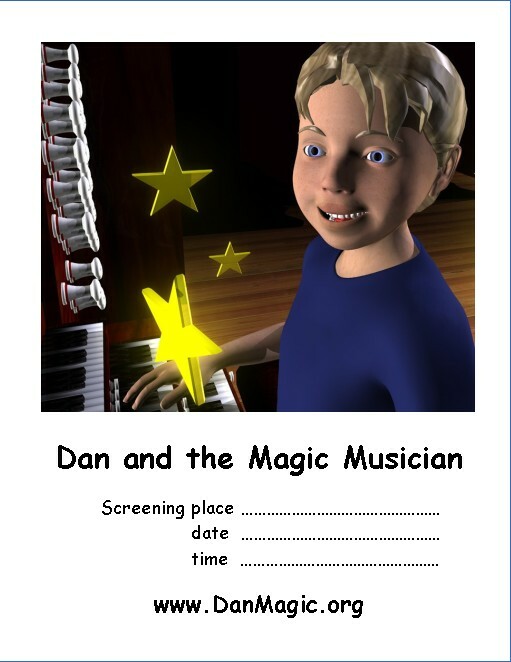 Arrange a showing of the animation at a pipe organ venue, and tell the music teachers at you local infants/primary/junior school about "Dan and the Magic Musician" and the resources on this site, so that they can include a lesson about pipe organs in their teaching - you can print out a Teachers' Flyer from here to deliver to the school. Rights are reserved on all images from "DAN AND THE MAGIC MUSICIAN"